Stopfor Rope Grab Features two independent triggering systems that provide quick activation. 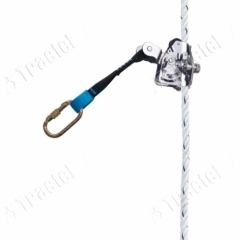 In the event of a fall, a speed activated centrifugal roller will force the cam to engage on the rope. 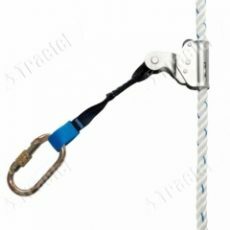 This new braking system also ensures that the rope grab will lock on the lifeline even if the cam lever is held beyond its non-engaged position. 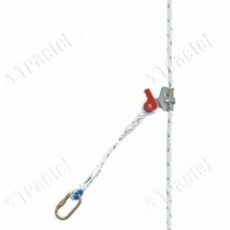 STOPFOR APAutomatic fall prevention device for vertical line. - Operates on 14mm diameter spliced stranded rope. - Panic jaw triggering device. - Locking systel for support working. - Supplied with a 30 cm webbing lanyard. TECHNICAL DATA SHEET USER INSTRUCTIONS STOPFOR BNew generation automatic fall prevention device. - Operates on 12-14mm diameter stitched stranded rope. - New blocking system without jaws. - With M41 and M41, 30cm webbing lanyard. - Available with connectors M10, M41 and M42. - Complies for use on terrace structures. 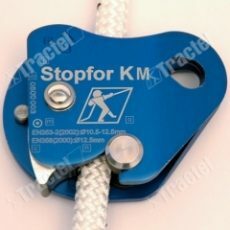 TECHNICAL DATA SHEET USER INSTRUCTIONS STOPFOR KNew generation automatic fall prevention device. 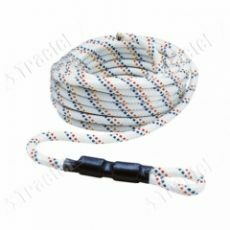 - Use on 10,5-12,5 mm diameter braided rope. - Delivered with 30 cm long strap. 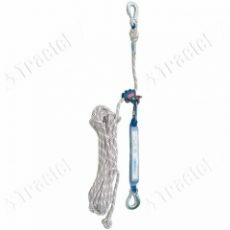 - Operates on 10.5 - 12.5 mm diameter braided rope. 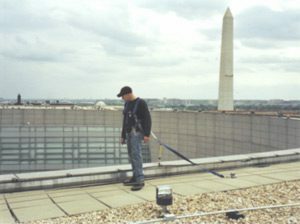 - For maintenance work on sloping or horizontal roofs. - Available connectors M10 and M41. 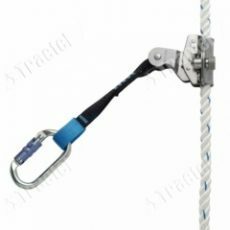 TECHINCAL DATA SHEET USER INSTRUCTIONS STOPFOR PAutomatic fall prevention device for vertical lines. 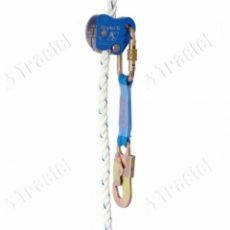 - Fall prevention device is permanently kept on safety line. - Connector available M10, M11 and M41. 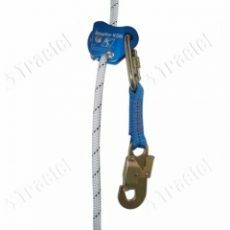 - Delivered with a 30 cm webbing lanyard. TECHINCAL DATA SHEET USER INSTRUCTIONS STOPFOR SAutomatic fall prevention device for vertical line. - Operates using 14mm diam. standard rope. - Available connectors using M10 and M41.